National Institute of Drug Abuse (NIDA) reported today that drug abuse among teens is trending downward, except for marijuana. The University of Michigan’s annual Monitoring the Future Survey was completed for 2016. It showed that six percent of high school seniors across the country are daily marijuana users. 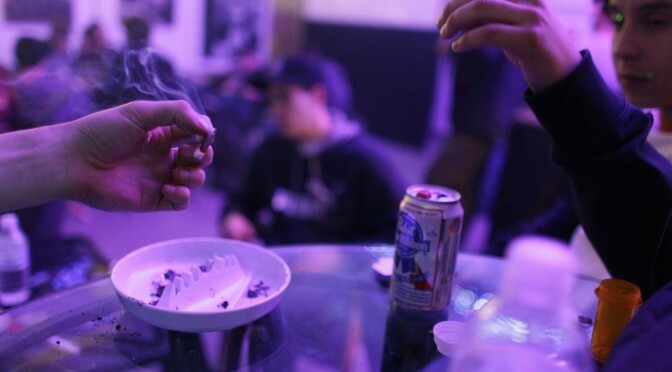 Many of these young, habitual tokers, are potential addicts–if not yet addicted. They may stick to marijuana which is extremely potent today–5x more potent than it was in 70s. Or they may go onto other drugs, or slide into alcoholism as they turn the legal age to buy booze. The six percent of seniors who are daily pot users is triple the rate of daily drinkers in 12th grade. That figure is very troubling, and it is the same high rate from the previous year. Teen abuse of other substances, including opioids and heroin, is down. However, adult substance abuse continues to rise astronomically. The Centers for Disease Control released new statistics last week: 52,404 drug-related deaths in 2015, an 11% rise. By comparison, 37,757 died in car crashes, an increase of 12%. Gun deaths, including homicides and suicides, totaled 36,252, a jump of 7%. In 2014, there were 47,055 drug overdose deaths. The rate of increase has risen rapidly in the last decade. There’s the concern that these daily marijuana users will go onto other drugs, drugs that lead to overdose and are potentially lethal. States with high rates of teen marijuana use in 2011 and 2012 ended up having the highest rates of opioid pill abuse two years later. Here’s five reasons marijuana is a gateway drug. The use of synthetic cannabinoids and ecstasy is lower, but still too high. High school students are using much fewer opioid pain pills. Among 12th graders there’s been a 45 percent drop over the past five years. Only 2.9 percent of high school seniors reported past year misuse of the pain reliever Vicodin in 2016, compared to nearly 10 percent a decade ago. The Drug Free American Foundation, CADCA and the pharmacies regularly sponsor “Take Back Your Drugs” days. At these times, pain relievers from other family members are tossed out, with the hopes of preventing illicit use. Fewer eighth graders are using marijuana, which is encouraging. Parents Opposed to Pot believes it’s because new parent and community drug education efforts – since legalization — are discouraging early pot use. One troubling note is that eighth graders had an increase in misuse of over-the-counter cough medicine. This year, 2.6 percent of them have abused it, up from 1.6 percent in 2015. Tobacco use and drinking are trending downward, but use of e-cigarettes has gone up. Here’s the statistics.